In 2014, Nike officially declared March 26th Air Max Day. The concept was simple: March 26th was a day to celebrate the initial release of the Air Max 1, and Air Max running shoes in general. 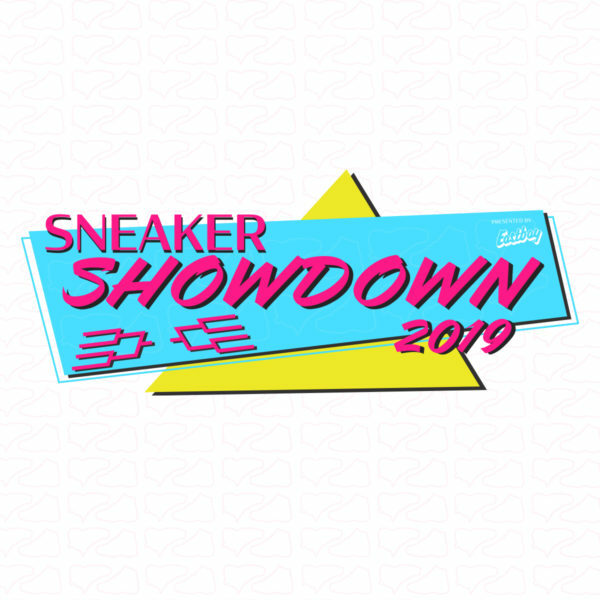 Sneakerheads were encouraged to “Wear their Air,” and purchase both new and retro models. 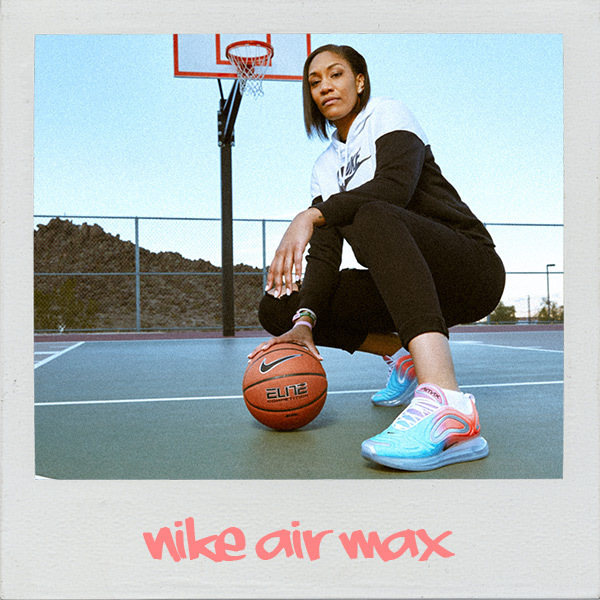 With the help of social media and strategically placed Nike pop-up shops around the globe, Air Max Day has become a footwear phenomenon over the last four years. 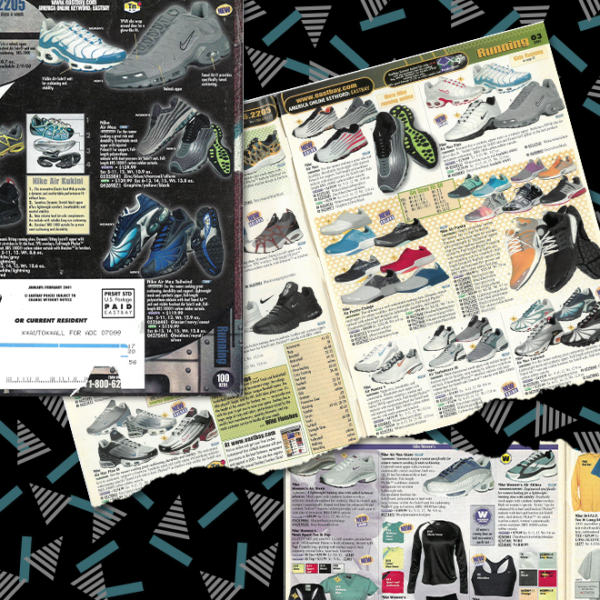 It’s worth reflecting on some of the Air Max models from 20 years ago — these are the shoes that helped mold and shape the legacy of Nike Air. 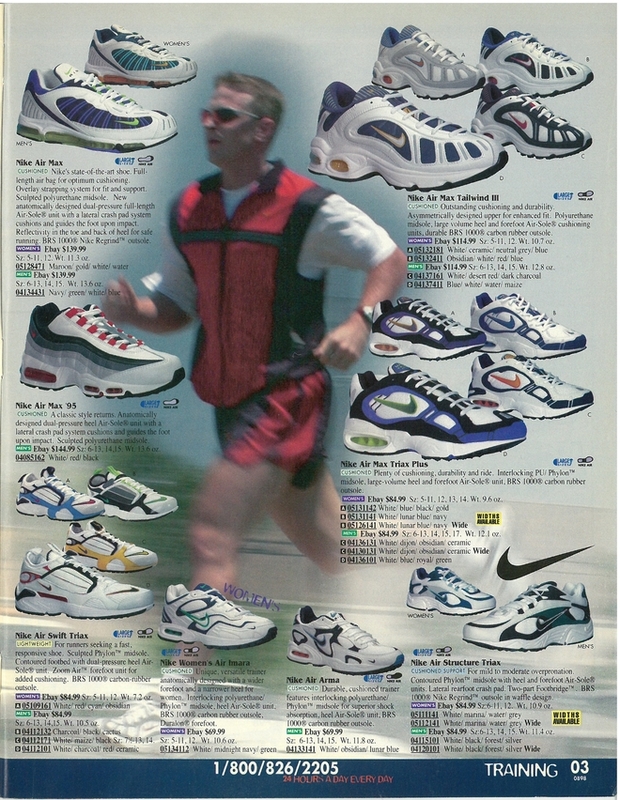 Back then, there were some major overall themes: the Triax series, the Tailwind, Air Max, and the Air Max Plus. 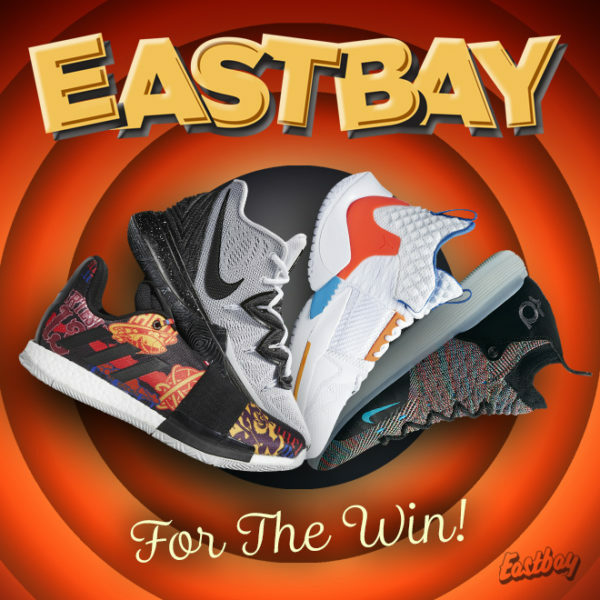 Each sneaker in the Eastbay catalog featured a technical description. For the runner’s information, the sneakers were broken up into different categories: Cushioned, Cushioned Support, Support, or Light weight. There was also a tiny diagram that showed where the Air was located – either in the heel, forefoot, or both. 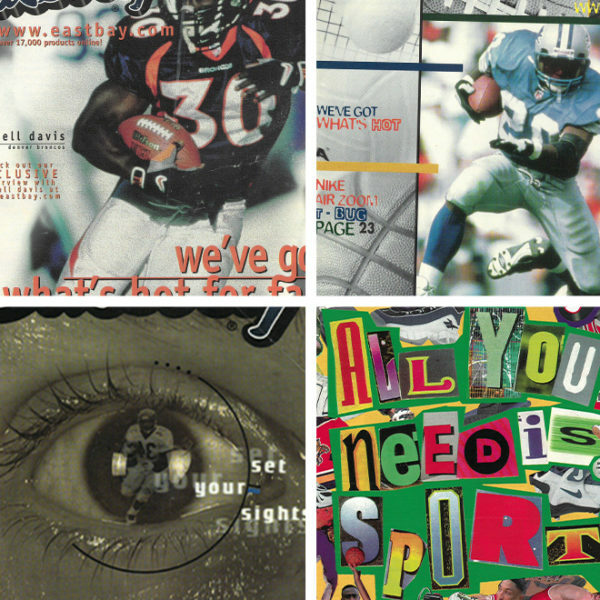 Here’s a look back at some of the key models and colorways. Promoted as “a versatile training shoe with superior cushioning,” the Triax was Nike’s best model for the average runner looking for solid cushioning at a fair price point. The Triax boasted a visible heel Air-Sole unit, and a non-visible forefoot Air-Sole unit. 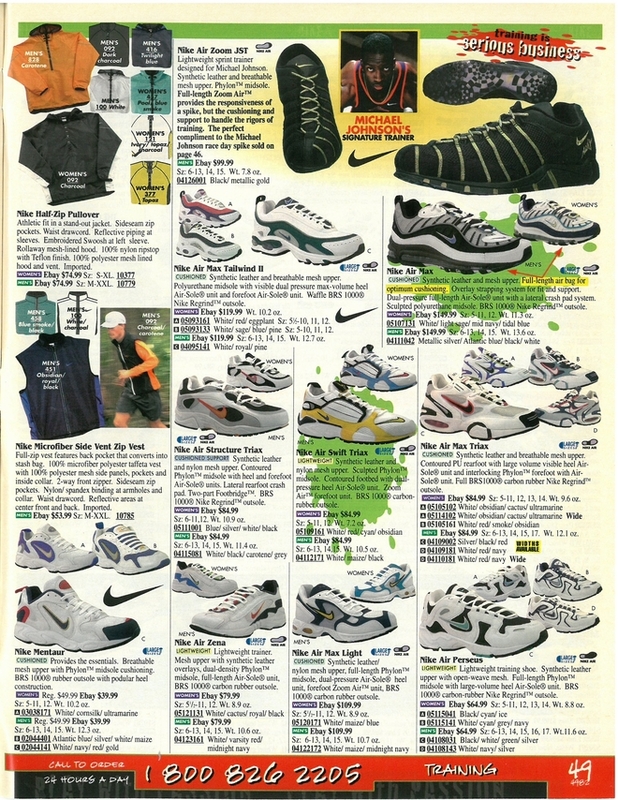 Heading into 1998, the Air Max Triax was still at full retail for $84.99. In the second half of the year, and updated Air Max Triax Plus model would release in a plethora of flashy colors. 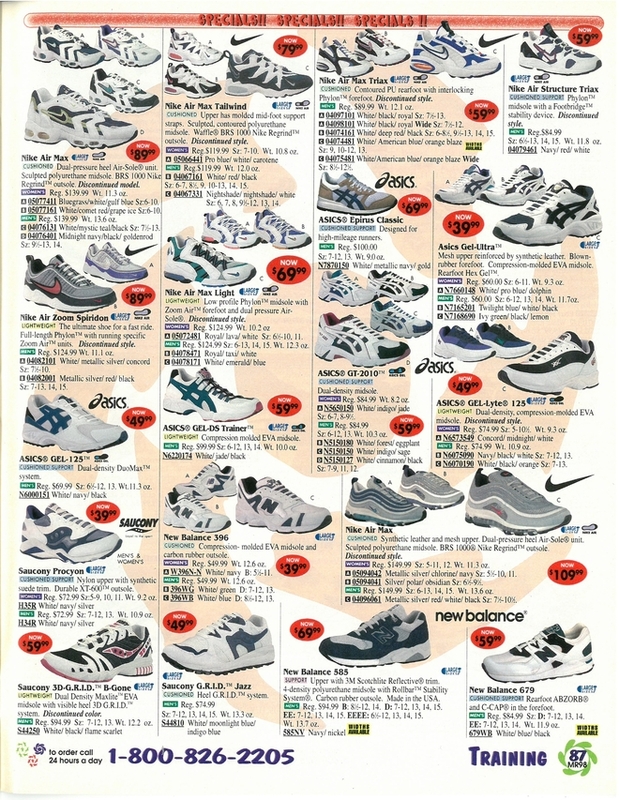 The price stayed the same, as did the cushioning. The time may be right for the Triax to make a comeback. 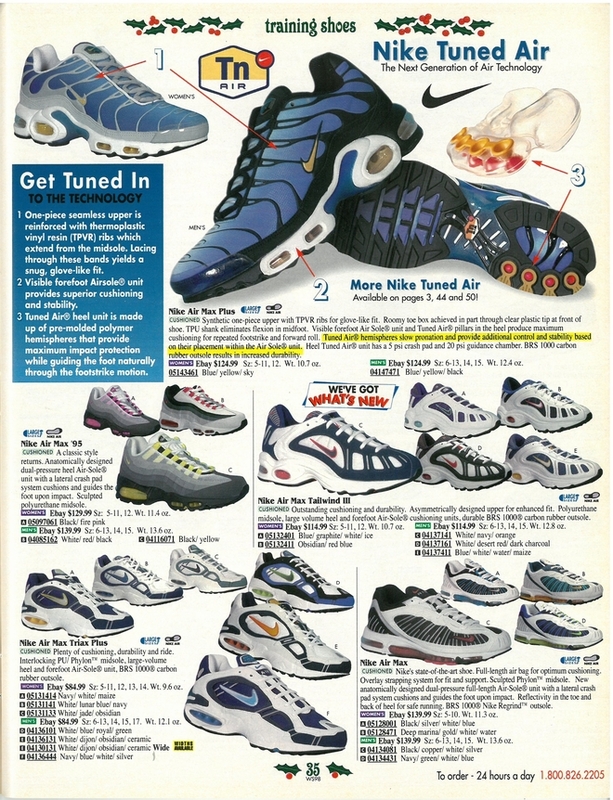 A few steps up from the Triax was the Air Max Tailwind II and III. “The support and cushioning you need for high-mileage training,” touted the catalog description for the Tailwind II. At $119.99, the Tailwind model featured a visible dual-pressure, max-volume Air-Sole unit in the heel and a non-visible unit in the forefoot. The Tailwind III would release later that year, and was actually priced $5 less than the Tailwind II. Incredibly, neither model has ever retroed. Three years after its wildly successful initial release, the Air Max 95 was still going strong in 1998 with some fresh new colors. Designed by Sergio Lozano, the AM95 was an instant classic with its human-spine-like upper and big Nike Air bubbles. 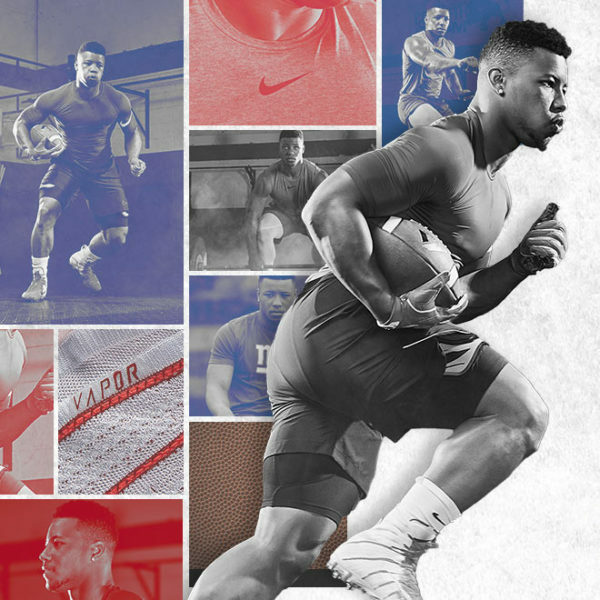 In ’98, Nike kept the all-grey sole and upper intact for the most part, but also went away from it and tried incorporating a white sole and upper along with hits of grey, black, and red. This shoe could do no wrong, as the new colors were just as popular as the OG’s. Heading into 1998, the revolutionary Air Max 97 was still going strong in some now-classic colorways. The “silver bullet” model was still at its regular retail price ($149.99) in the February ’98 issue. Designed by Christian Tresser, who also designed the Air Max Tailwind II, this top-of-the-line runner would also become a fan favorite thanks to its smooth, wavy lines and full-length visible Air-Sole unit. 20 years later in 2017, the AM97 was one of the most popular models of the year. On the heels of the Air Max 97 was the Air Max 98. Also designed by Sergio Lozano, the AM98 had a very different upper, but a similar Air-Sole. 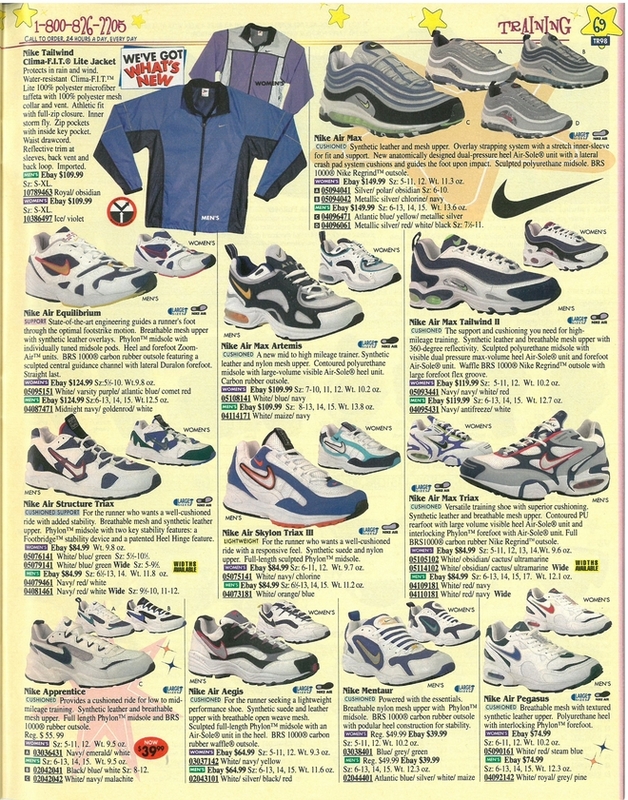 For whatever reason, the design didn’t catch on like the AM97, and the AM98 quickly went on sale. Fortunately, the model made a comeback this year, with some OG colorways returning as well as some new colors. 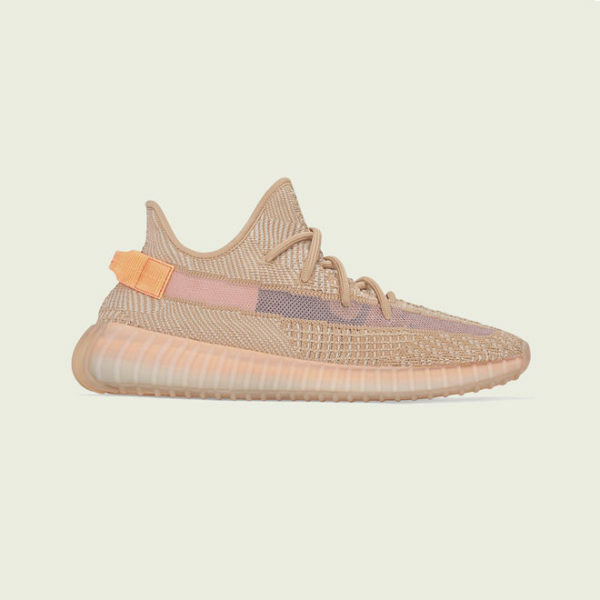 The response has been much more positive, so maybe it just took some time for the sneaker world to get accustomed to the alternate design. 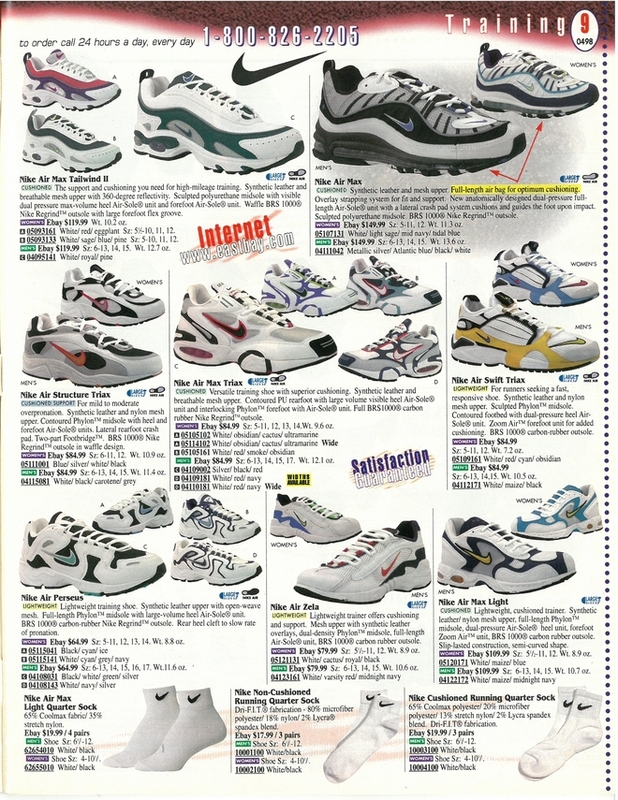 Another full-length Air-Sole runner released in the fourth quarter back in 1998: the model now known as the Air Max 98 TL. Featuring an updated anatomically designed dual-pressure Air-Sole unit with a lateral crash pad system, the AM98 TL was sleek and stylish, but also never took off like the AM95 or AM97. The sole was not quite stable enough, so it was difficult to wear for a lot of runners. This model has yet to retro. 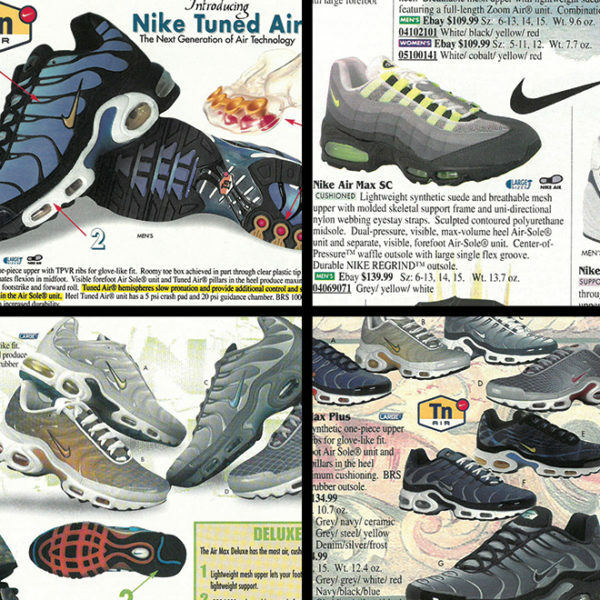 The now-iconic Air Max Plus also came out in the fourth quarter of 1998, with plenty of marketing behind it. Since one of the initial issues with full-length Air was a lack of support, the Air Max Plus added Tuned Air hemispheres to slow pronation and provide additional stability. 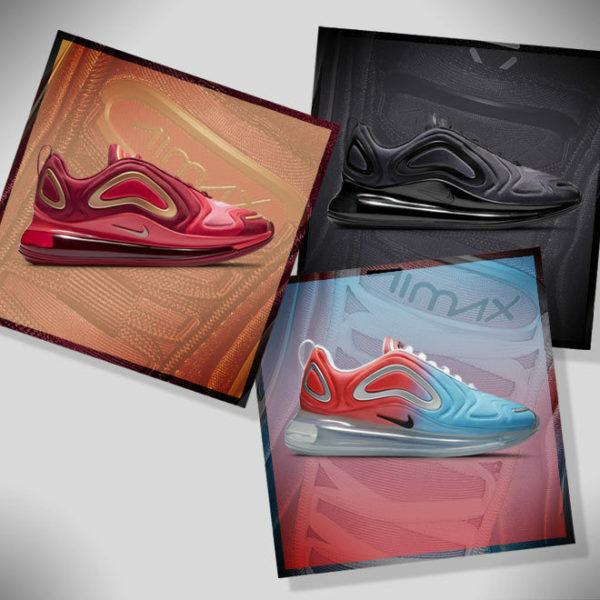 Designed by Sean McDowell, the Air Max Plus was inspired by his time spent on the sandy Florida beaches. Palm trees waving in the wind, and a whale’s tail lifting up in the horizon were the motivations behind his design. The Air Max Plus continues to be a fan favorite 20 years later. Sneakerheads still crave most of these ’98 models, as well as Air Max shoes in general. Nike has responded by bringing back the Air Max 95, 97, 98, and Air Max Plus. They’ve also released models like the VaporMax and Air Max 270, which are inspired by the big bubble phenomenon. 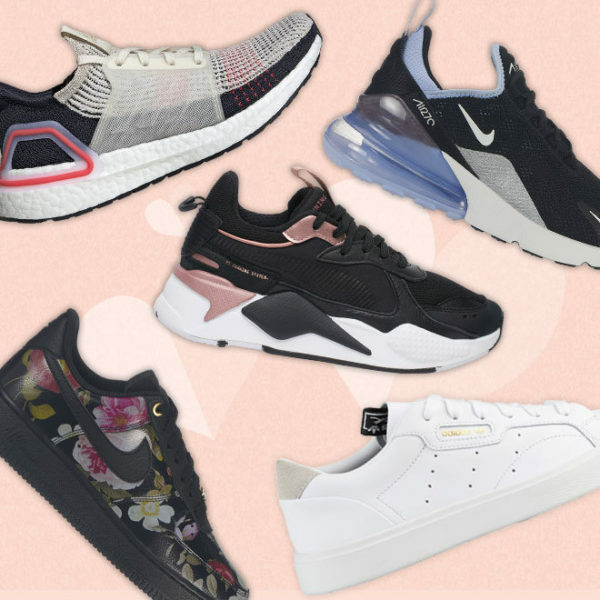 With Air Max Day growing in popularity and Nike Air bigger than ever, it’s clear that the love affair with big Air bubbles is not going to deflate anytime soon. 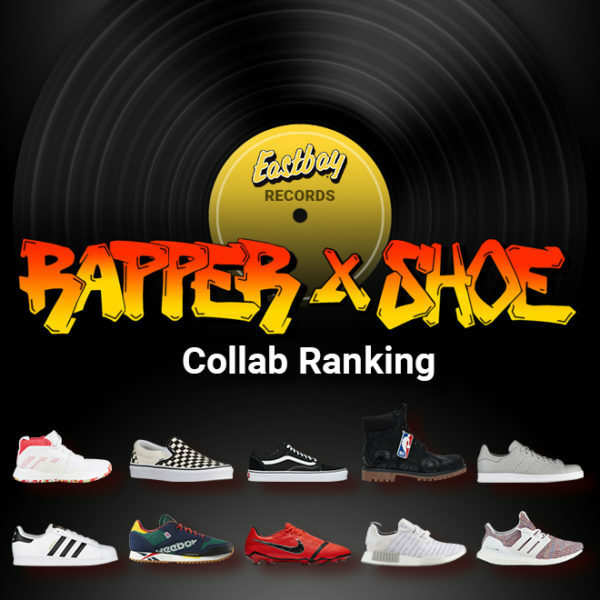 I’m kinda sad that the Air Max 120 didn’t make enough of an impact to show up on this list. I picked up a pair when they relaunched those a few years ago and they immediately became my favorite kicks. 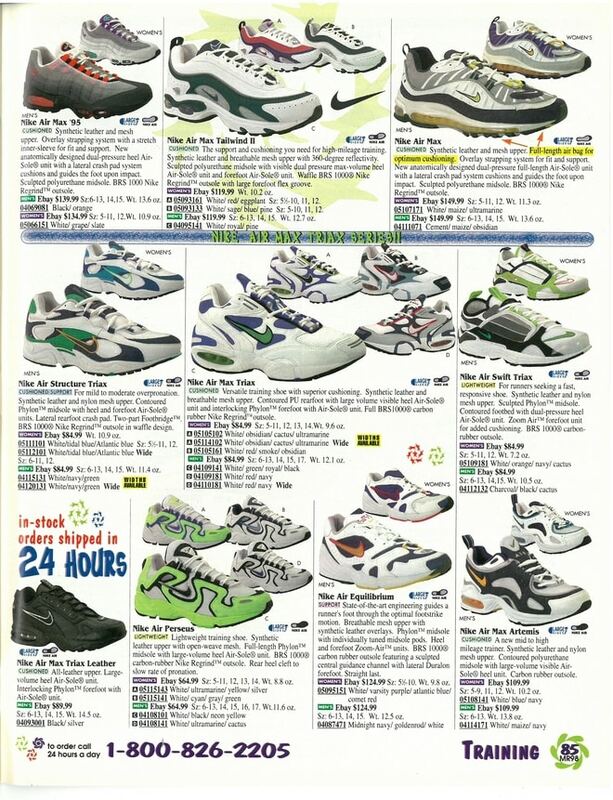 If I could go back knowing how much I love those shoes I would have bought all those different colors!